9:00 am to approx. 12:00 pm. every 2-3 months, as weather permits. Thank you, and I look forward to seeing you there! HOLY COW – YOU DID IT! 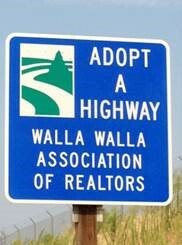 The numbers are in and I mean to tell you that the Walla Walla Realtor Association is the tops! Thank you all for such a great job. All the hard work paid off because at final tally we raised $40,096.00!!! That is just outstanding to be breaking records at that level! You may remember last year was fantastic and raised $31,171.41. This year’s tournament will provide our community with over 215,000 meals feeding over 12,000 people weathering life’s storms. 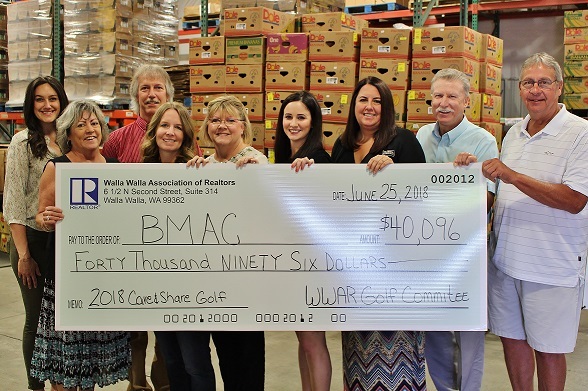 It is truly a blessing to have such a great force at work in the community to provide BMAC the resources to help our neighbors in need. Thank you all so very much. Job well done. Let’s celebrate!